Amy Ziettlow is an affiliate scholar with the Institute for American Values where she currently leads a Lilly Endowed study of Gen X caregiving and grieving. 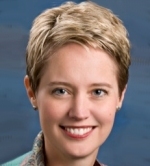 She is ordained in the mainline Evangelical Lutheran Church of America and most recently served as COO of The Hospice of Baton Rouge. She is the author of Seniors in Casino Land: Tough Luck for Older Americans. Follow her on Twitter @RevAmyZ. The first week of August is National Responsible Gaming Education Week. Over the last two years, I have traveled through casinos in Louisiana, Iowa, New York and Florida talking to older Americans to learn first-hand why they come, why they stay, and why it’s so dangerous. Casinos make their older customers feel welcome and safe, but their motives are far from pure. People over 65 tend to go to the casino during the off-peak weekday mornings and afternoons. This makes them a highly desirable market. Older people help to keep thousands of slot machines operating during slower daytime hours. Casinos cater to their special needs by providing wheelchairs, scooters, adult diapers, and other amenities for customers with mobility and health problems. In Baton Rouge, I met Carol and Herb. They are both in the early 80’s and they prefer video poker. When asked why they favor coming to the casino over other forms of entertainment, Carol said, “They take care of us.” If they win any money, a security guard escorts them to their car. They feel safe. This manufactured kindness is especially appealing to people who can be lonely, isolated, or feel invisible in the larger community. Seventy-five percent of older Americans favor the slot machine over other forms of gambling. Far different from the old fashioned, “one-armed-bandits” with spinning reels and coins pouring forth, modern slots and similar electronic gambling devices are computerized machines that use light, sound, and repetitive motion to create a hypnotic “zone” where players lose track of time and money. For example, at the World Resorts Casino I met Judy at the Prince of Lightening slot machine. She wore a retractable cord connecting a player’s card on her belt to the machine. Casinos use these cards to track when gamblers come and go and how much they spend. In return, gamblers get rewards points to keep coming back. I had to speak loudly over the constant din of machine sound and repeat myself several times to catch her attention. I asked her how to play. “You want four of the ladies in a row, and the lightening guy is always good,” she answered, without taking her gaze from her screen. “Oh, I guess … it’s something to do,” she shrugged, still fixated on the screen. This sensation of “the zone” can be intensely desirable for people who seek escape from their troubles. For older Americans, who may crave relief from boredom or from the pains of aging, the slot machine is their drug of choice. Like other drugs, slot machines can be a fast track to addiction. According to one study, people who play slots are likely to experience more rapid onset of gambling addiction than people who engage in more traditional forms of gambling. While there may be many seniors who appear to be addicted to slots at the casinos I think there are also many who just enjoy going to the casino as another form of entertainment. My husband and I go to the casino once or twice a month. We never take more money with us then we are willing to lose. We usually go with friends and socialize on the way there an back and also take at least one break for lunch or coffee while there. On the occasions when we do lose it does not cost us much more than going to a show and dinner. This article is generally negative about seniors gambling. However, I deal more with poker players than slot players and it is generally favorable for seniors. It keeps the mind active, provides a place to go, is generally very safe and a social event. Seniors generally play “tight” at low stakes and limit their losses. Or they play tournaments, in which the “buyin” (the maximum you can lose) is well known ahead of time. I knew one man who was actually a part time dealer and player until age 82 with a very sharp and active mind. Many others kept their minds active through the 80′s.